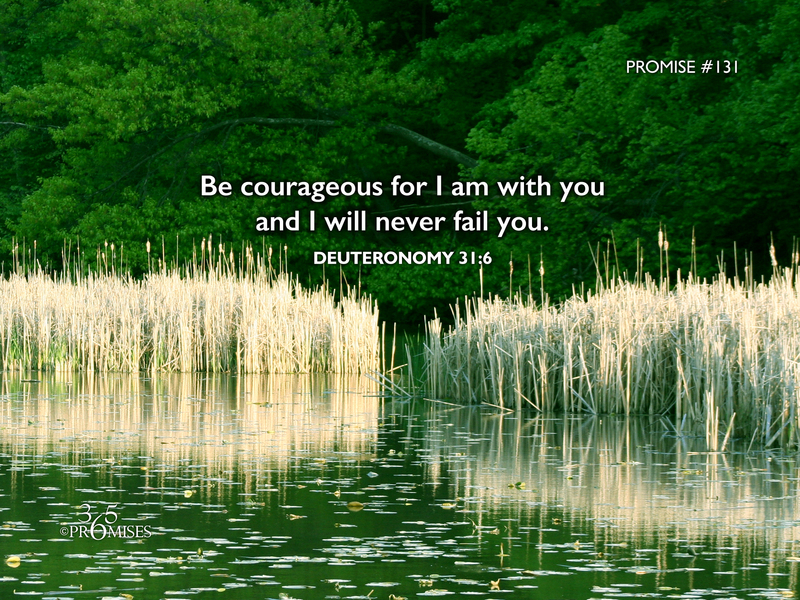 Be courageous for I am with you and I will never fail you. These words were spoken by Moses at the very end of his life when he told the Israelites that he wasn't going to accompany them into the promised land. I can't imagine how the nation of Israel must have felt when their trusted leader of 40 years told them that his time of leadership was at an end. They must have been struggling with fear because Moses encouraged them not to be afraid. Moses went on to repeat this word of encouragement face to face to his trusted assistant Joshua in verses 7-8. It was important for Joshua to get a grasp on this promise from God as well because he was to be their new leader and the champion of their conquest of the promised land. In the time that these words were spoken, Israel was about to face literal giants in the land of Canaan so they needed to know for certain that God had promised to be with them wherever they went. While it is not likely that any of us will be facing literal giants in our daily life, we are all facing giants of discouragement, fear and despair in one way or another. My prayer is that this promise from God spoken thousands of years ago to Israel would bring comfort and strength to each one of us today. We don't have to be afraid. God is with us and He will never leave us. May this truth go deep into our hearts so that we will have the strength we need when we face our own giants. God will not fail us!